WIN WITH CARBRO PRODUCTS ON E-TV! 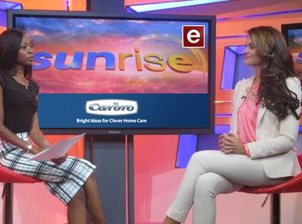 Carbro is teaming up with E-TV to help us get ready for Spring Cleaning, by giving away a Carbro hamper worth R1,000 – PLUS R1,000 CASH to one lucky viewer every day from 11 to 15 September… So make sure you tune in to E-TV every morning from 5.30 for your chance to win. Visit the Carbro Facebook page as well for even more chances to win a Carbro Spring Cleaning hamper worth R1,000 too! On August 9th, National Women’s Day, Gail Downing, managing director of Acorn Group (which owns the Tabard, Carbro and Vapona brands) became one of 21 selected businesswomen to join the EY Entrepreneurial Winning Women Class of 2017. The programme is an initiative of global assurance, tax, advisory and transaction services firm EY (Ernst & Young) and identifies a select group of high-potential women entrepreneurs whose businesses show real potential to grow. Hearty congratulations to the winners and everyone who participated – and we look forward to seeing you and your brave and beautiful horses again soon! 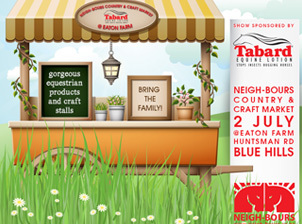 Neigh-Bours is proud to announce a fun Dressage & Jumping Training Show, brought to you by Tabard Equine! 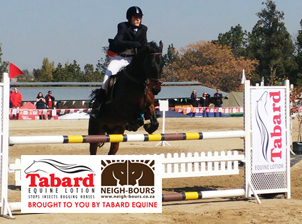 ENTRY FORM: Click http://www.neigh-bours.co.za/download.php?view.82to download the entry form. 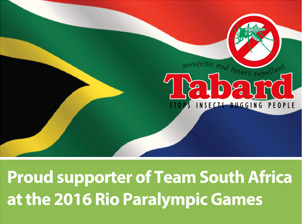 When members and officials of Team South Africa leave for Brazil to participate in the 2016 Rio Olympics, they will be taking off with the knowledge that in response to widely publicised concerns over contracting the Zika virus, every effort is being made to prevent them being bothered and bitten by the mosquitoes that transmit the disease. 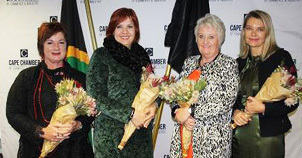 Founder and CEO of the Acorn Group of Companies, businesswoman and entrepreneur Gail Downing, is one of two awardees of the 2016 International Women Entrepreneurs Challenge (IWEC) – honoured recently by the Cape Chamber of Commerce and IWEC Foundation in Cape Town. Gail will represent South Africa at the IWEC global conference in Brussels later this year, together with her co-winner, Debbie Merdjan, Founder and CEO of the Camelot Group. Read the full article here on WC Business News or click here for the full press release. 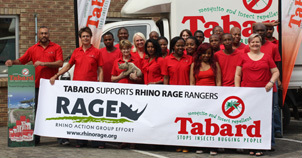 Prompted by their concern for the plight of our rhino population – Acorn Group, owners of the Tabard brand – recently donated large quantities of their products to help keep some 700 game rangers mosquito-free this summer. Click here for the full press release and high res image. 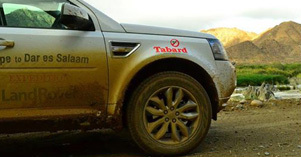 Tabard is proud to be associated with the Land Rover Cape to Dar Es Salaam Challenge as a co-sponsor. 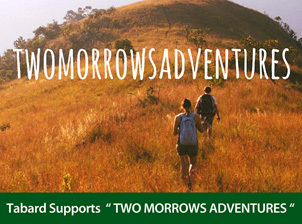 We will be updating the Tabard Facebook page regularly with details regarding this once in a lifetime adventure. Also be sure to visit the www.landymag.co.za website to stand a chance to WIN big prizes! Gail Downing, managing director of Acorn Group Holdings, was recently honoured by the American magazine and global businesswomens’ networking organisation Enterprising Women. 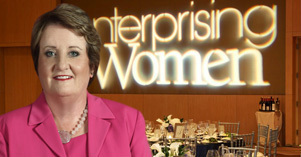 One of three South African businesswomen selected from its global membership, Gail was a winner in one of several categories at the international 2014 Enterprising Women of the Year Awards. This annual celebration honors outstanding women entrepreneurs who have demonstrated that they own and manage fast-growth businesses; mentor and give back to help other women business-owners; and are leaders in their communities.It also provides networking opportunities for women thought-leaders, established businesswomen and emerging women entrepreneurs from the United States and around the world. As a founding member of the South African Women Entrepreneurs Network (SAWEN) Gail also maintains a special place in her life for the advancement of women in the local economy. She currently serves as Chairperson of the SAWEN board, while keeping a steady hand on the helm as managing director of Acorn Group, which continues to grow and consolidate its role as a successful and independent owner of several leading brands in the South African consumer market.